Pastor Eugene Peterson passed away this week. He was 85, and I know that’s a good long life, but he was such an inspiration to me. I loved to read things he wrote, listen to interviews with him in the @therabbitroom, and I cherished his translation of the Bible — The Message. His perspectives refreshed my faith at many different points — especially during my 20s as I navigated big questions about God’s goodness and the purpose of prayer and His presence. Pastor Peterson, among other people, inspired me to not let questions keep me from talking with God. He approached spiritual life with a curiosity and creativity that I wanted to have. He wasn’t rigid, but he was extremely faithful and his book A Long Obedience in the Same Direction cast so many wonderful models for how to live. When I was 22, I returned from six of the hardest months of my life living in Chad, Africa working at a rural hospital and living with a family of 19 people in one of their mud huts. While village life was actually a really good fit for me, I just wasn’t equipped to handle the things I was seeing at the hospital. Those things shook my faith and heart. I turned to writing and reading as catharsis. And when I returned, my journal was published in a small book. When I had a draft of the manuscript, I sent it to Eugene Peterson, kind of on a whim since he had been such an inspiration to me during that time. Then, one day, I picked up the phone and it was Pastor Peterson — the sweet scratchy voice that I’d listened to on podcasts so often. And he said he’d like to write me an endorsement for the little book. I know I was just a 22-year-old, navigating big questions and processing my own experience with God at that time, and so having someone like him offer me encouragement in my journey really meant a lot. I just had to put a tiny tribute out into the world for someone who has helped me along my faith journey. Thank you Pastor Peterson for your humility and ministry. You made such a big difference. Emily (Wilkens) Poole is a wife, mother, writer, and wedding photographer smitten with telling true stories. She is drawn to the fine lines and quirky juxtapositions in life and faith. She and her husband Tommy live in Spokane, WA, and are expecting their second child any day. This essay originally appeared on the author’s Facebook page and is reprinted here with permission. Editor’s Note: Emily’s book, African Rice Heart, was published by Pacific Press in 2011, and is available on Amazon here. 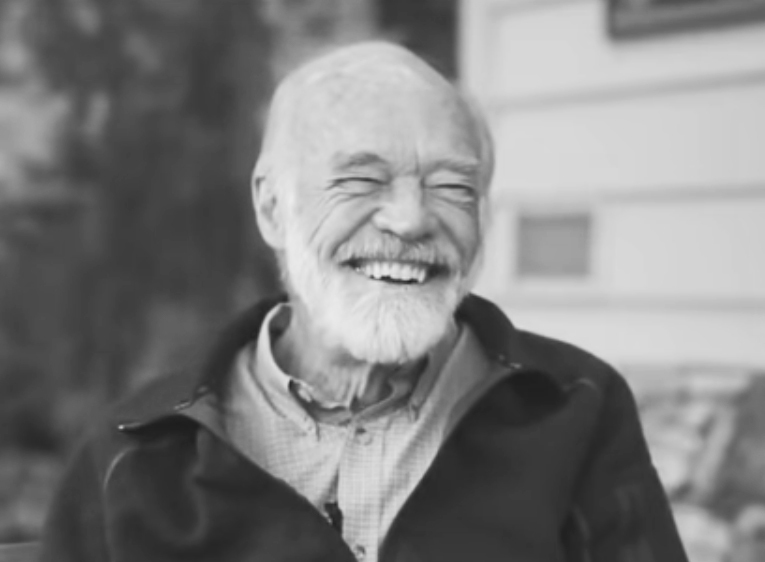 Remembering Eugene Peterson by Ron Reece.